Is Sean Payton Wearing A Roger Goodell Clown Shirt? 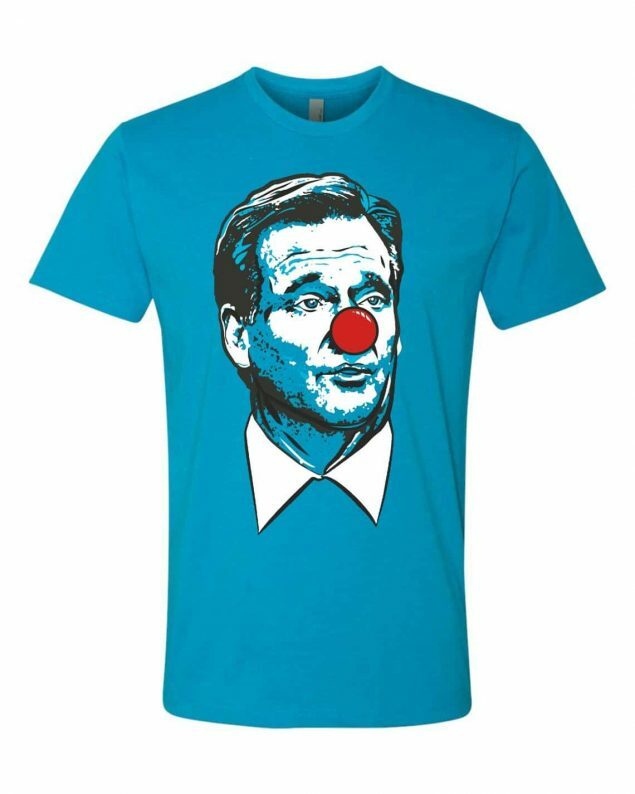 Etsy seller ClassActTees is selling Roger Goodell Clown shirts. These shirts have grown in popularity after the NFL had 4 Los Angeles-area refs blow the NFC Championship Game between the L.A. Rams and the New Orleans Saints, costing the Saints a Super Bowl appearance. The commissioner’s lack of comment has drawn a ton of criticism. You can get one of these amazing shirts for $18.99! It seems several players and coaches in the NFL have purchased the shirts. Detroit Lions head coach, Matt Patricia, was spotted wearing one. And now, it seems Saints head coach, Sean Payton, may have worn one under his shirt at a press conference.